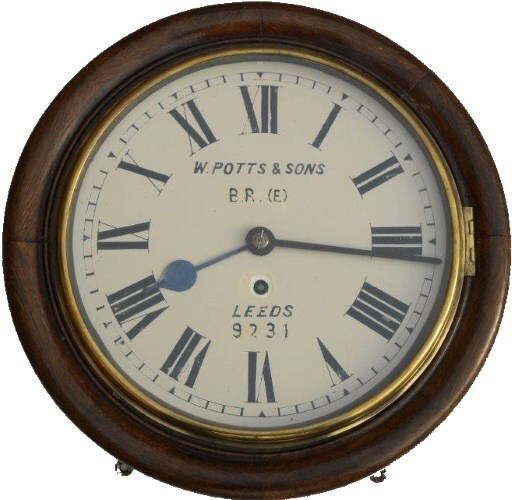 Lot 145 RAILWAY CLOCK. - 10 inch GNR or LD&ECR clock. Last used at 'Warsop junction signal box' near Shirebrook complete with brass plate inside side door, LNER Shirebrook fitters'. Movement recently overhauled, with copy of LNER clock records showing its provenance. A fine clock.